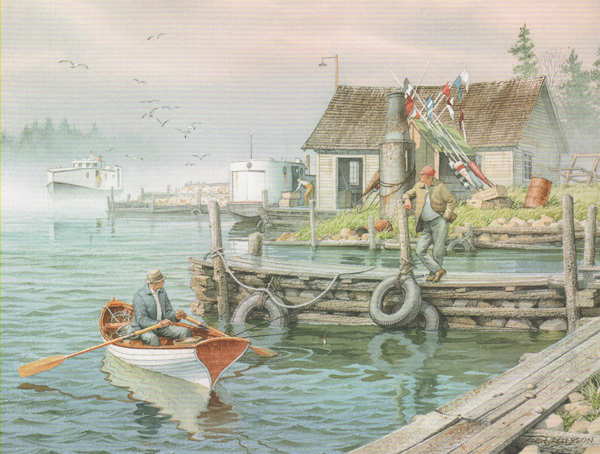 of these men and with the tools of their trade: floats, traps, crates, net driers, fish smokers. I have imagined a couple of fishermen here. one who fishes for business and one for pleasure, asking that universal question of fisherman. "Any luck?" " Gil's Rock: Foggy Wednesday "